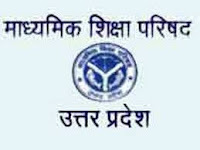 UP Higher Secondary Education Board director Sanjay Mohan arrested by Ramabainagar police on charges of running TET (Teacher Elgibility Test) entrance exam racket, allegedly for collecting money from candidates who appeared in the 2011 Teacher Eligibility Test to facilitate their selection. The Ramabai Nagar (Kanpur Dehat) police said it recovered around R49 lakh, which had been collected from TET aspirants, and a huge number of identity cards of candidates from Mohan's house. Mohan was produced in Kanpur district court on Wednesday. He has since been sent to jail. The state government, meanwhile, suspended Mohan, following his arrest. The TET exam was held on November 13, 2011, in which around 11.5 lakh candidates appeared and result was declared on November 26. Around 2.70 lakh candidates cleared the exam but the result was challenged in the Allahabad HC on December 16. The court had then directed revaluation after removing six questions on which the petitioners had raised an objection. The revaluated result was declared on December 23, 2011.